Bradley used to hate, hate, HATE carrots, but the past few weeks he has been really into them. Therefore, I've been more than determined to include them in most things I make for dinner before the phase passes. So far I've put them in Vegetable Soup, an easy pasta with vegetables and our favorite slow cooker meal, but I also wanted to make them as a side dish. These are incredibly easy to throw together and are a perfect side dish for any dinner. Plus you only need a handful of ingredients. They'd be perfect on your Thanksgiving table as well! Enjoy! 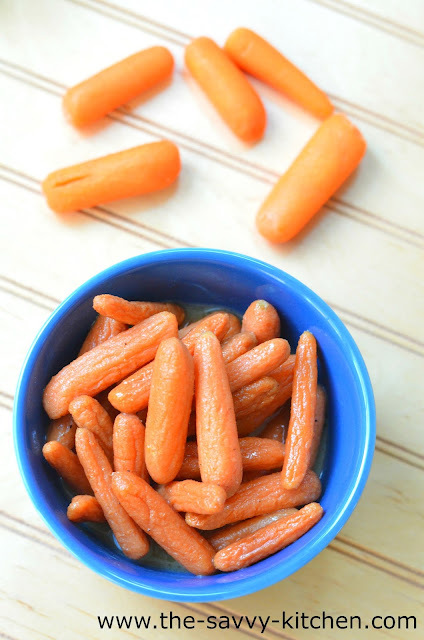 Place carrots in a medium saucepan. 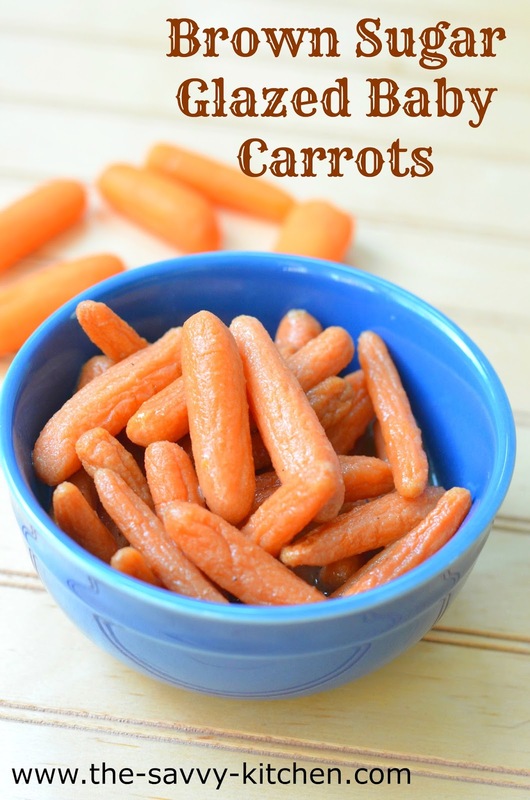 Pour in water so that it almost reaches the top of the carrots. Bring the water to a boil. Cover and reduce heat to medium-low. Continue cooking for 15 minutes or until tender. Drain and transfer to a bowl. In the same saucepan, melt the butter. Add the brown sugar, salt and pepper and stir to combine. Add the carrots back in and stir to coat with the sauce. Cook for 1-2 minutes, or until carrots are fully glazed. Serve immediately.